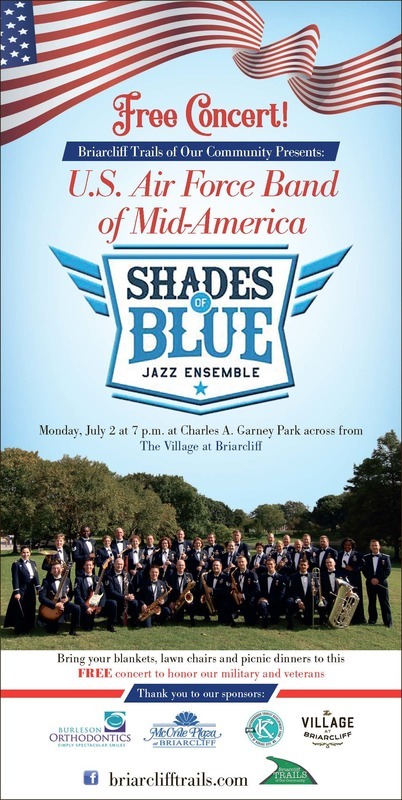 U.S. Air Force Returns to Briarcliff this Monday! U.S. Air Force Returns to Briarcliff! U.S. Air National Guard Band Concert! Mark your calendars for Saturday, June 24 to enjoy an exclusive live concert by the U.S. Air National Guard Band of the Midwest "Concert Band" Ensemble. The performance will begin at 7 p.m. at Mulberry Lake across from the Village at Briarcliff. 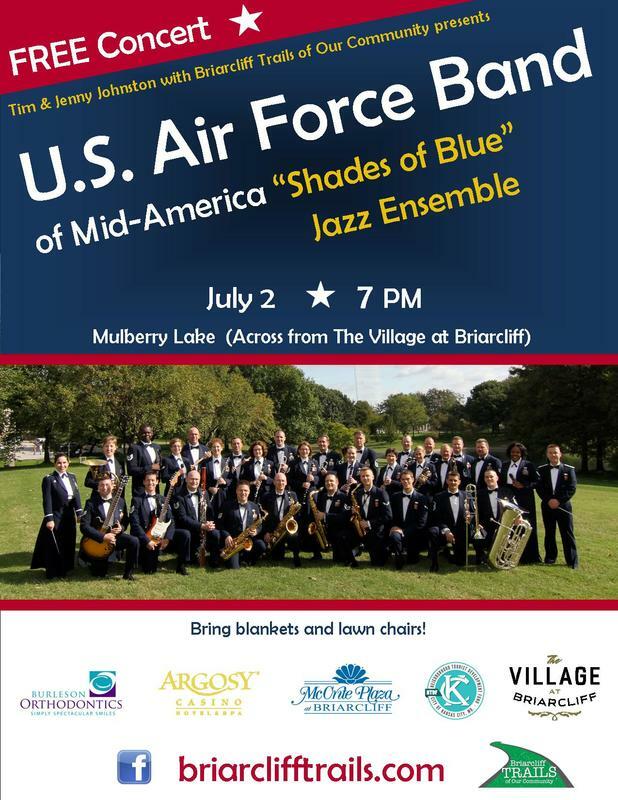 The U.S. Air Force Band is a 45-piece big band with a diverse repertoire of traditional swing, bebop, modern jazz, vocal selections and patriotic songs honoring our nation's military branches. Don't forget to bring blankets, lawn chairs, beverages and picnic dinners to enjoy this FREE family-friendly concert celebrating our nation's freedom. 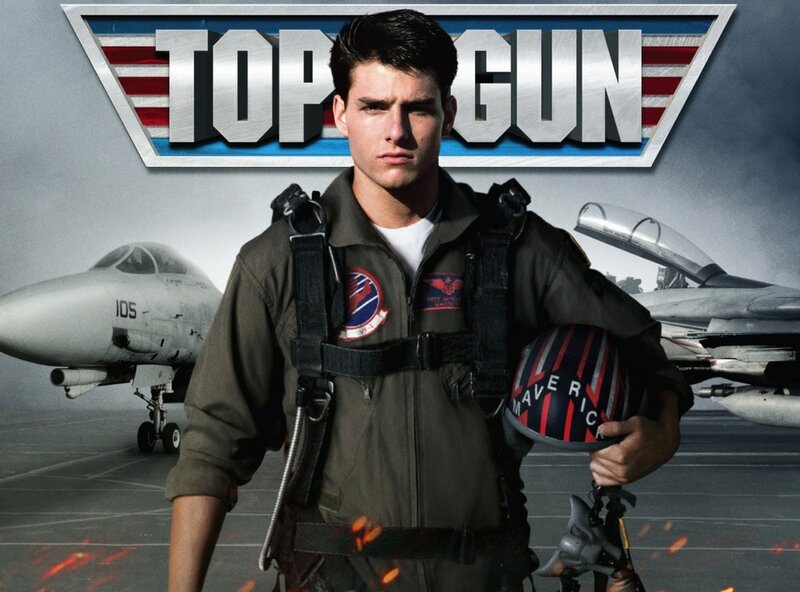 Enjoy a FREE showing of "Top Gun" (1986) PG at 8:45 p.m./dusk on Saturday, June 10 at Mulberry Lake across from The Village at Briarcliff. As students at the United States Navy's elite fighter weapons school compete to be best in the class, one daring young pilot learns a few things from a civilian instructor that are not taught in the classroom. Last week we had our largest crowd in our entire history of Outdoor Movies Series at Briarcliff! Families enjoyed inflatables, a bouncy house, food truck, face painting, caricaturist and more! We can't show these movies without the support of our wonderful sponsors. We would like to thank Burleson Orthodontics, The Village at Briarcliff, Integrity IT Solutions and the Neighborhood Tourist Development Fund. We're supposed to have perfect weather this weekend, which will make for a great movie night under the stars by the lake. As always, don't forget to bring blankets, lawn chairs and snacks! See you all on June 10! Moana - Saturday Night Movie! It's hard to believe that time of year is already upon us! We couldn't be more ready for another season of Saturday Night Outdoor Movies under the stars! To kick off the season, we're showing a popular Disney film the whole family will enjoy. 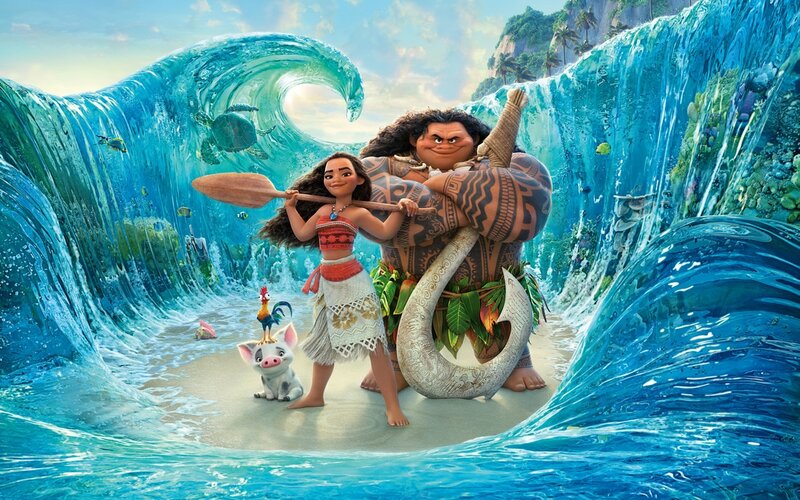 Enjoy a FREE showing of "Moana" (2016) PG at 8:45 p.m./dusk on Saturday, June 3 at Mulberry Lake across from The Village at Briarcliff. When Moana’s island fishermen can't catch any fish and the crops fail, she learns that the demigod Maui caused the blight by stealing the heart of the goddess, Te Fiti. The only way to heal the island is to persuade Maui to return Te Fiti's heart, so Moana sets off on an epic journey across the Pacific. Grab the kids and join us at 7:30 p.m. as we kick off our annual FREE movie nights by the lake! Enjoy food trucks, inflatables, face painting and more the hour prior to showtime at dusk (8:45-9:00 pm). We can't show these movies without the support of our wonderful sponsors. We would like to thank Burleson Orthodontics, The Village at Briarcliff, Integrity IT Solutions and the Neighborhood Tourist Development Fund. The weather is supposed to be absolutely perfect this Saturday, so we're all set for a great evening! As always, don't forget to bring blankets, lawn chairs and snacks! See you all on June 3! Save the Dates! Announcing the 2017 Saturday Night Outdoor Movies! 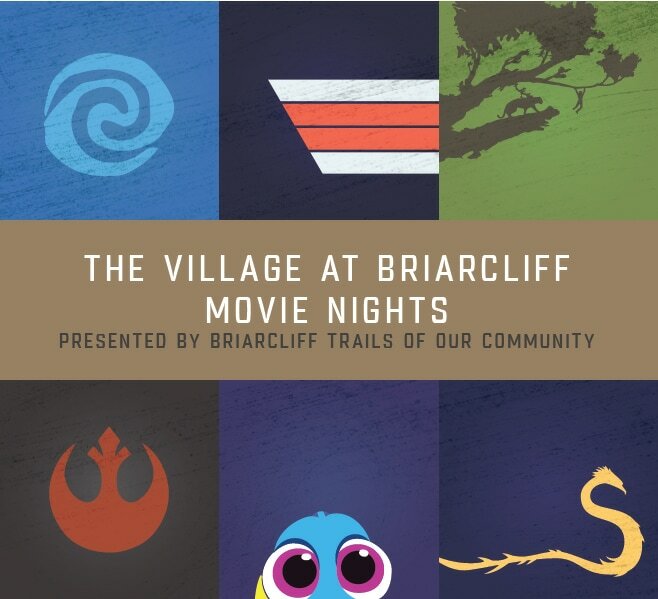 The ever popular outdoor movies are once again returning to Briarcliff! Can you guess what we're showing?! The suspense is over, and we won't make you wait any longer. Below are the movies and their corresponding dates. All movies will start at 8:45 p.m./dusk at Mulberry Lake across from The Village at Briarcliff. They are FREE to attend - all you have to bring are blankets, lawn chairs and perhaps a picnic dinner. We wouldn't be able to show these movies without the support of our gracious sponsors: Burleson Orthodontics, Argosy Casino, The Village at Briarcliff, Integrity IT Solutions and the Neighborhood Tourist Development Fund. We look forward to seeing you this summer! Enjoy a FREE showing of "The Hunger Games: Mockingjay Part 2" (2015) PG-13 at 8:45 p.m./dusk on Saturday, July 9 at Mulberry Lake across from The Village at Briarcliff. As the war of Panem escalates to the destruction of other districts, Katniss Everdeen, the reluctant leader of the rebellion, must bring together an army against President Snow, while all she holds dear hangs in the balance. Thank you to everyone who came to our showing of "Minions" in June! We had a large crowd with perfect weather. Thank you to Saint Patrick's School for handing out free popcorn, and Burleson Orthdontics for handing out snacks and beverages! We would also like to thank Argosy Casino Hotel & Spa, The Village at Briarcliff, Integrity IT Solutions and the Neighborhood Tourist Development Fund. We're supposed to have great weather this Saturday! As always, don't forget to bring blankets, lawn chairs and snacks! See you all on July 9!